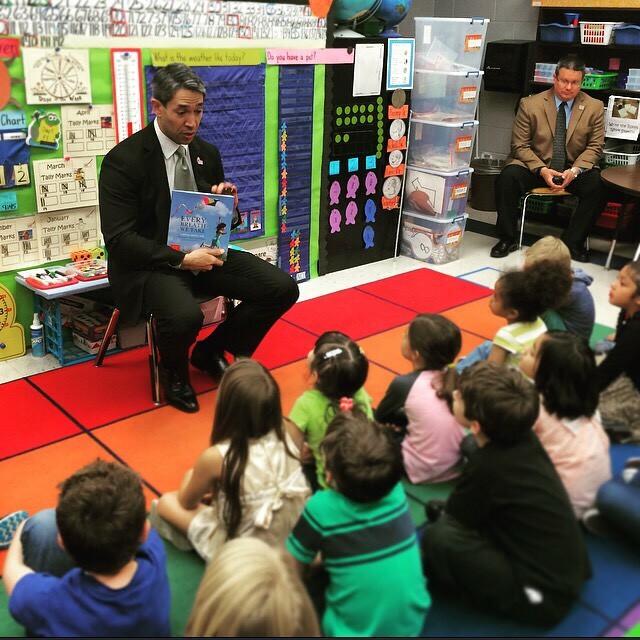 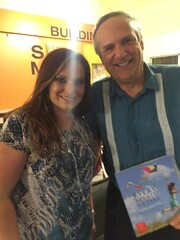 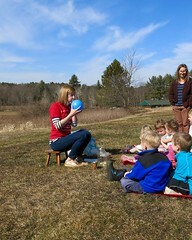 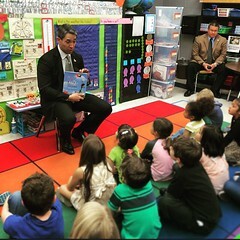 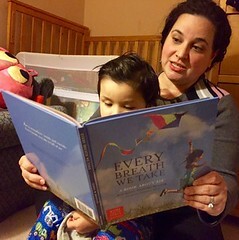 Every Breath We Take is the only book that teaches young children about air. 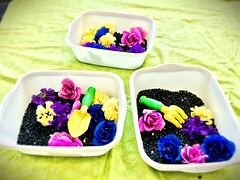 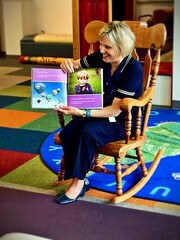 (Tweet this) Designed to be read aloud by parents, grandparents, older siblings, and relatives. 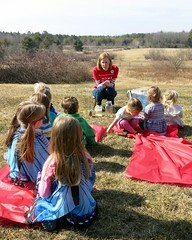 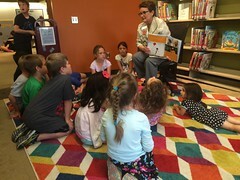 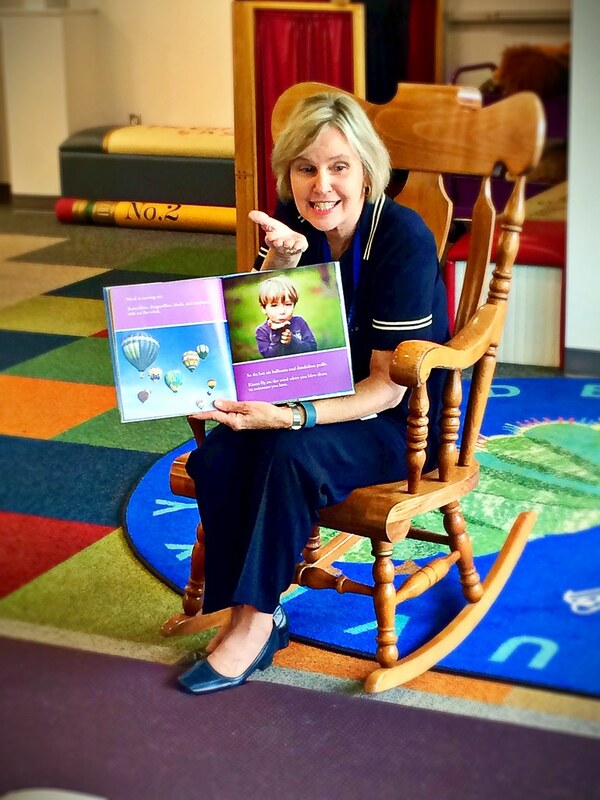 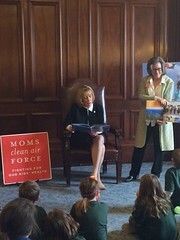 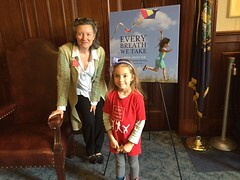 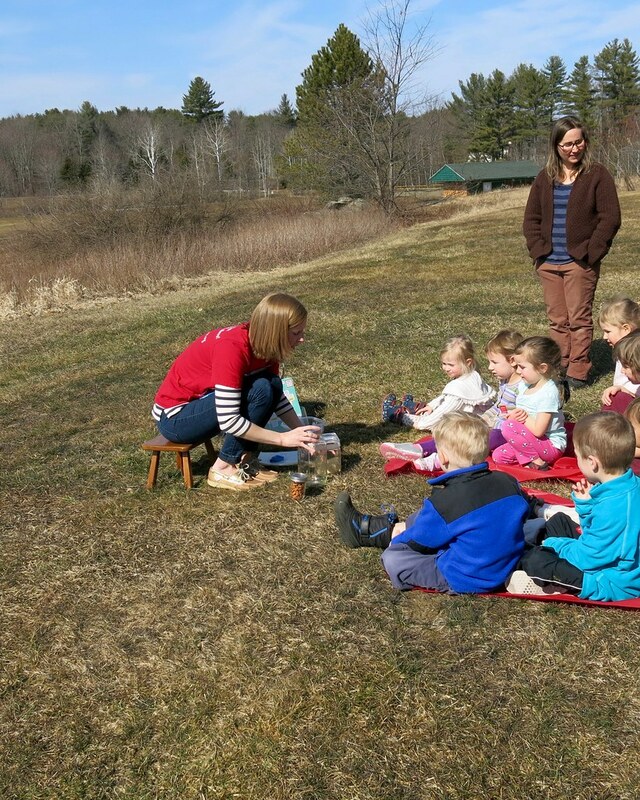 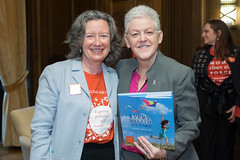 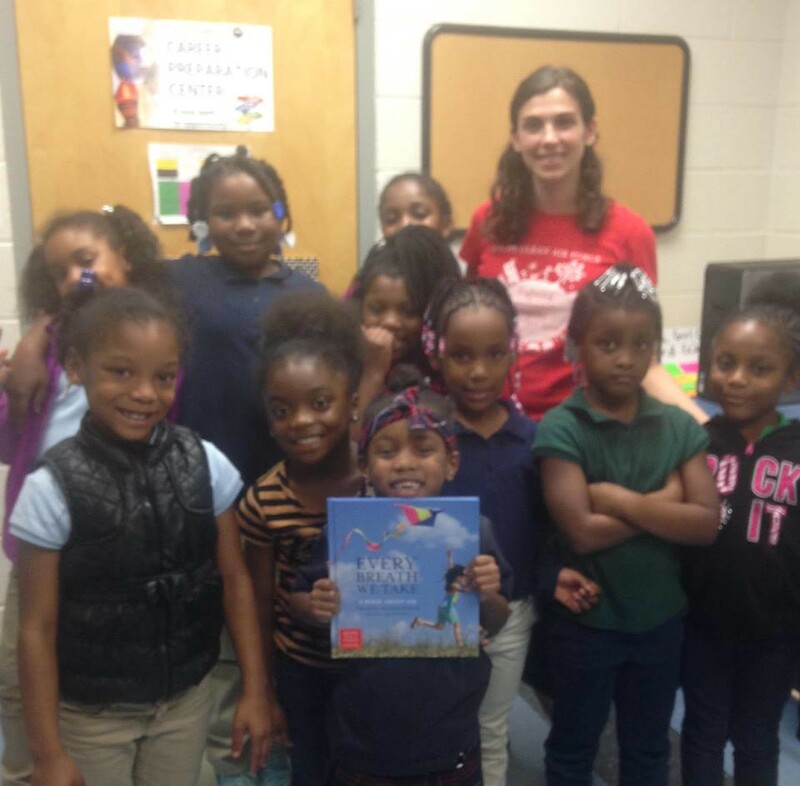 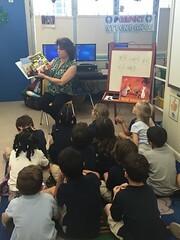 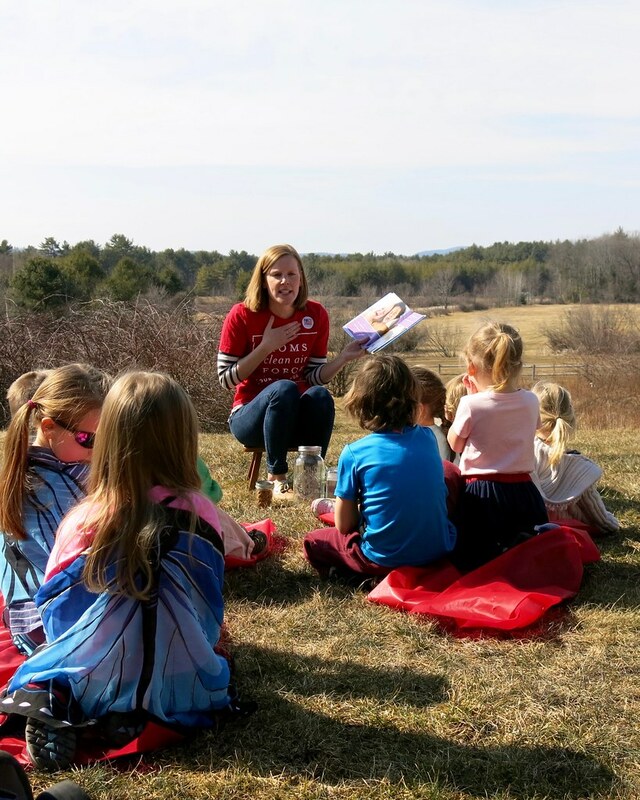 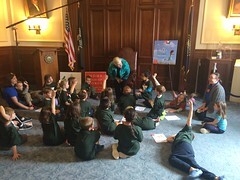 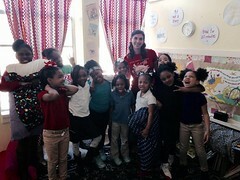 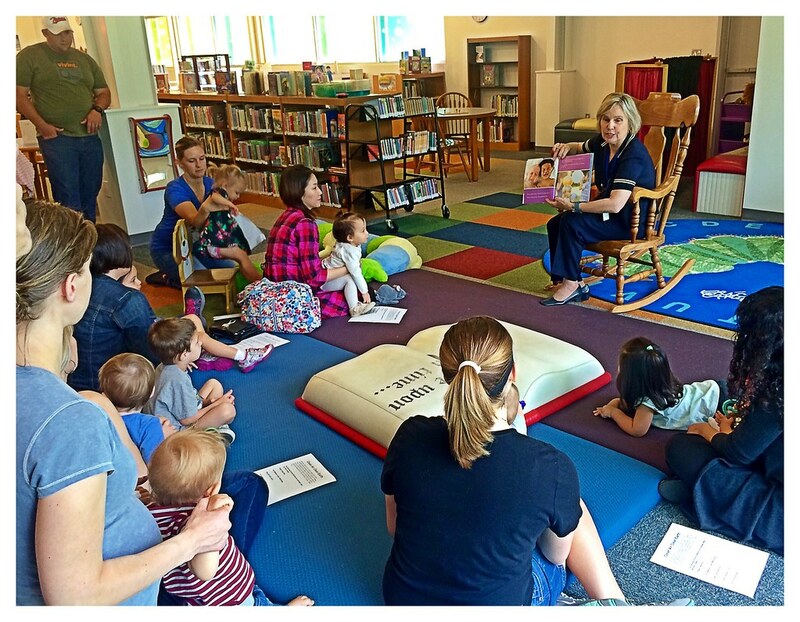 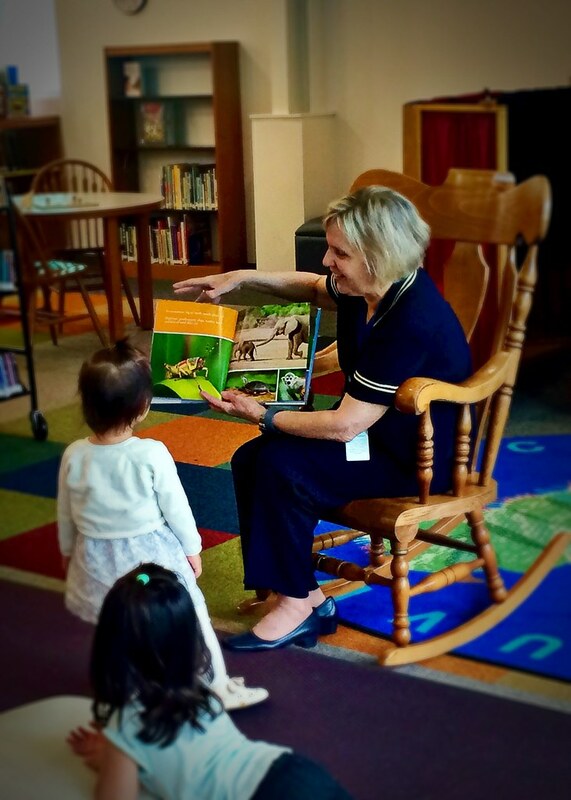 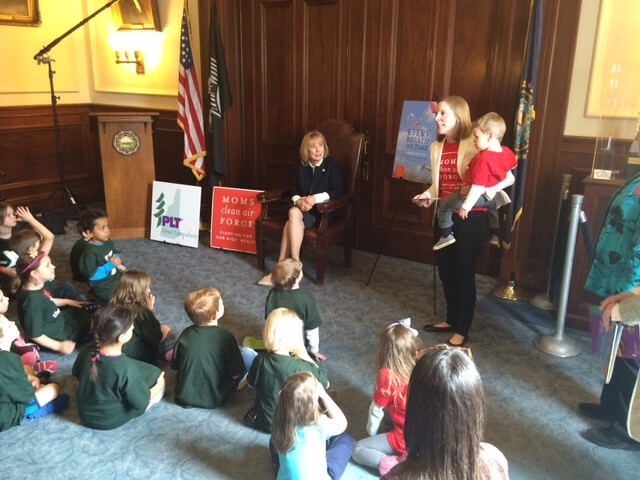 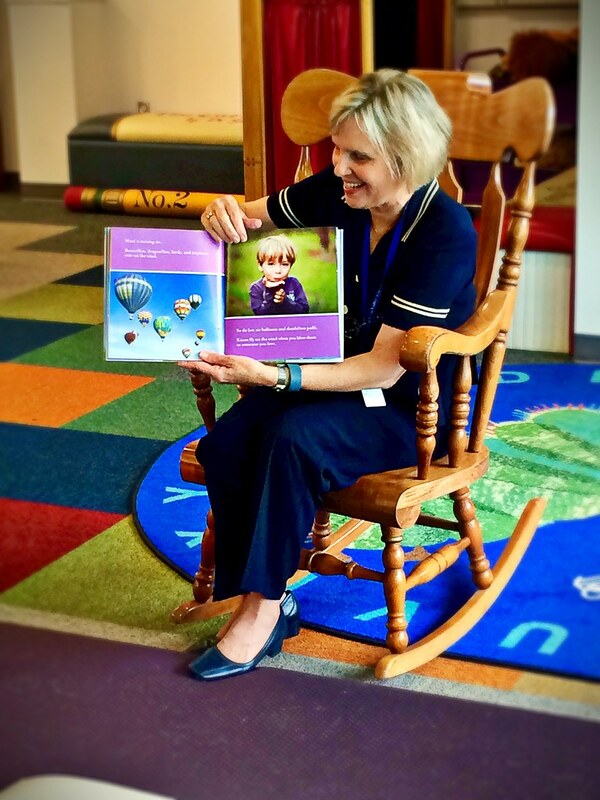 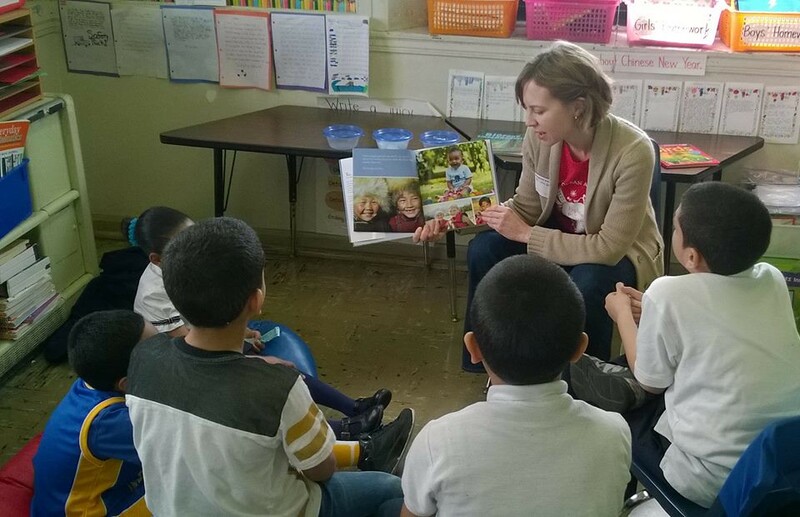 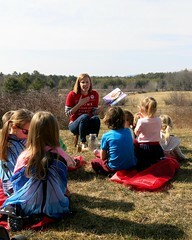 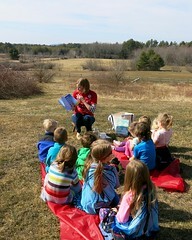 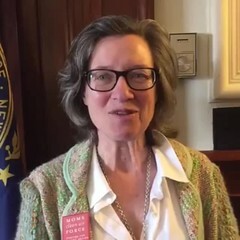 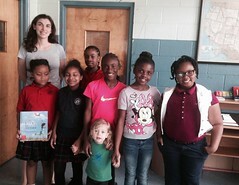 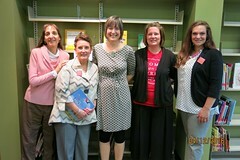 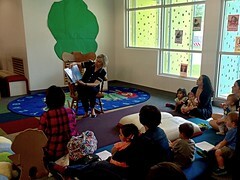 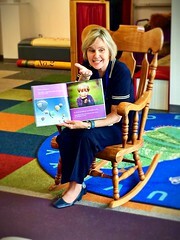 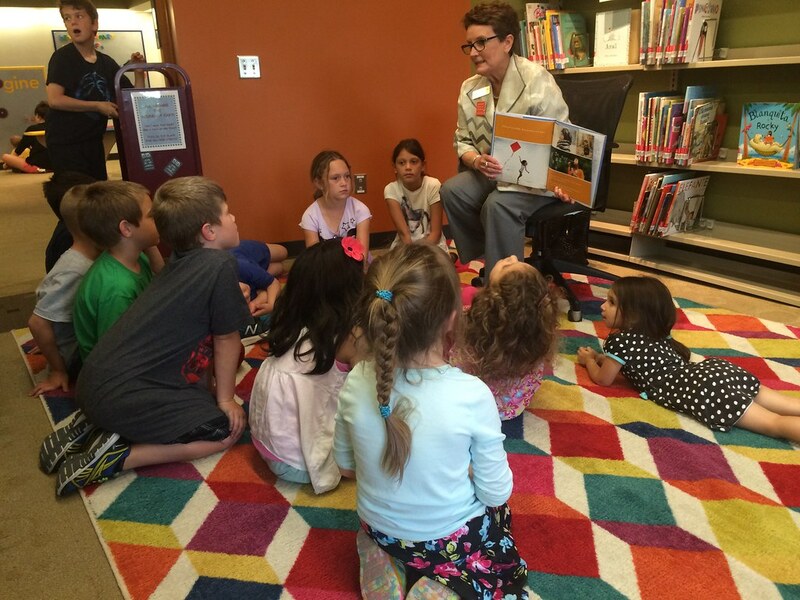 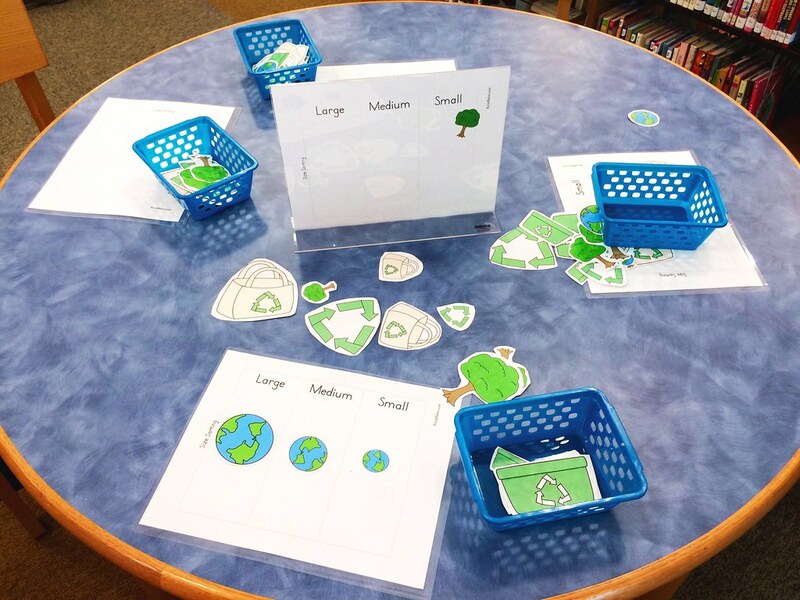 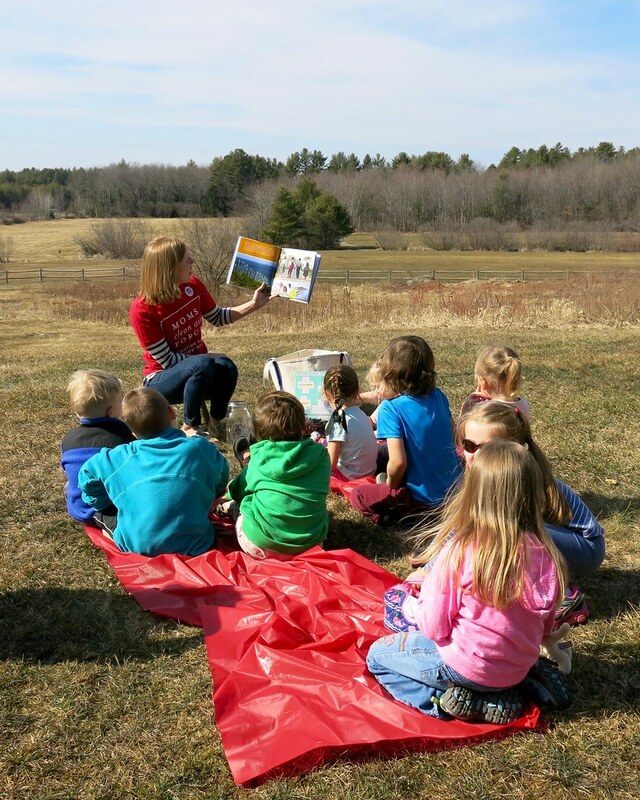 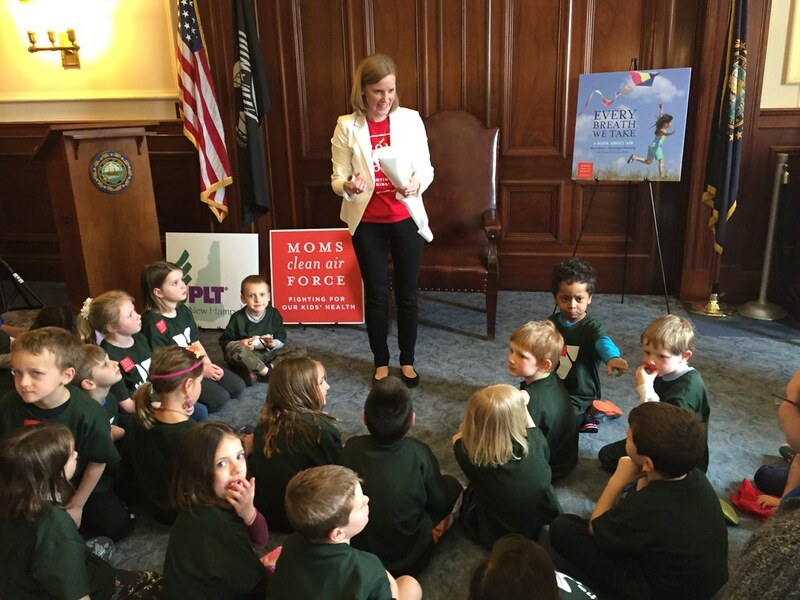 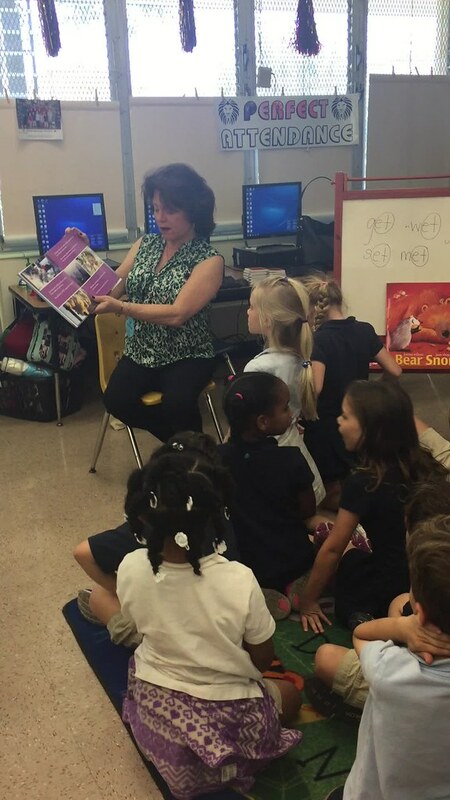 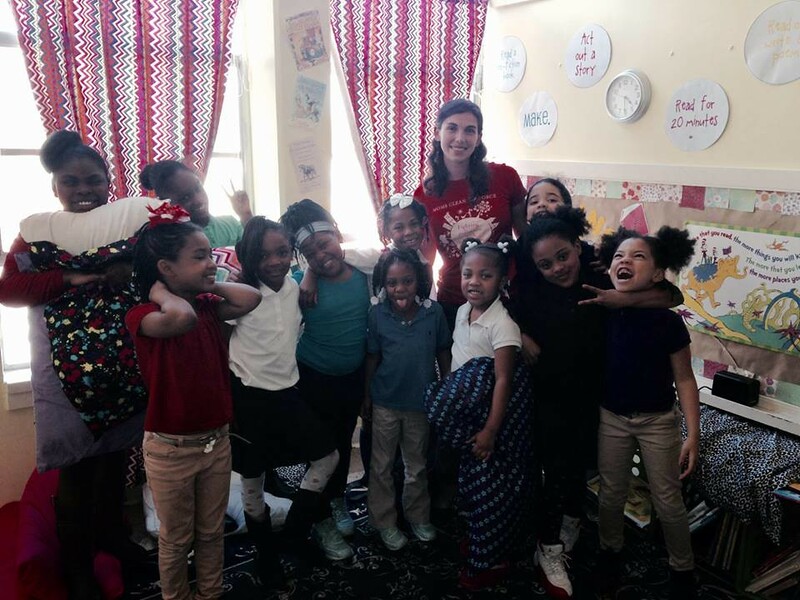 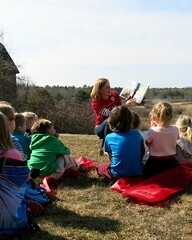 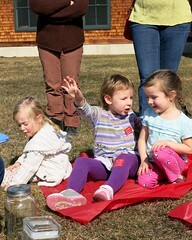 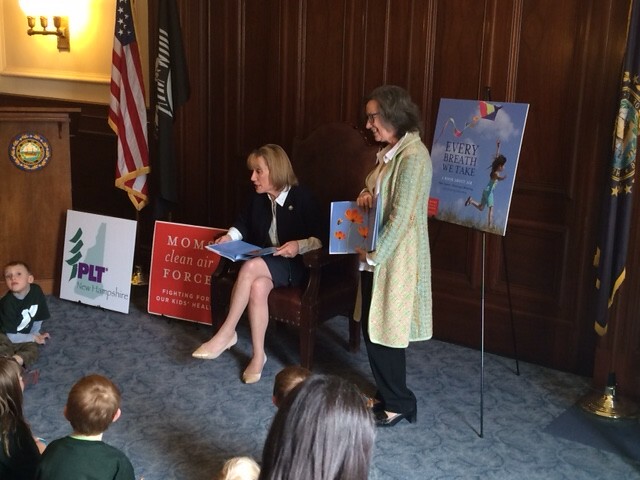 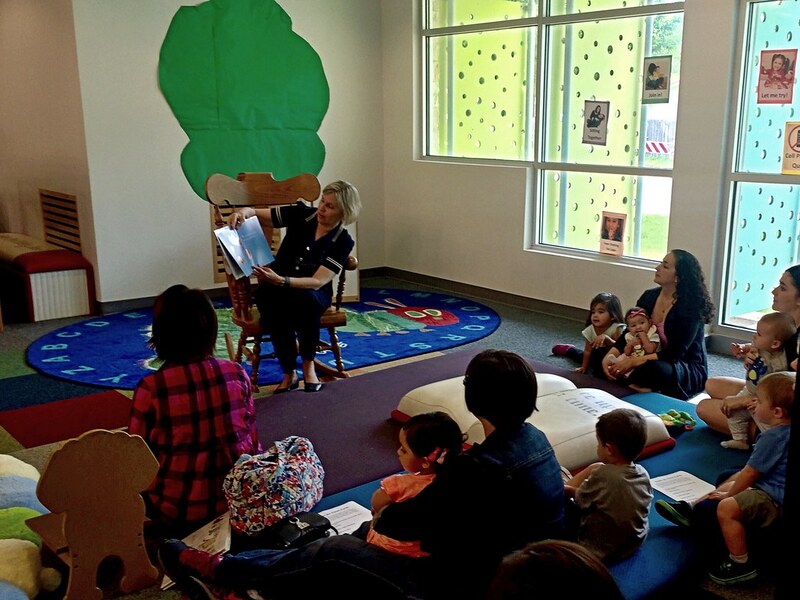 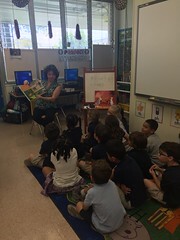 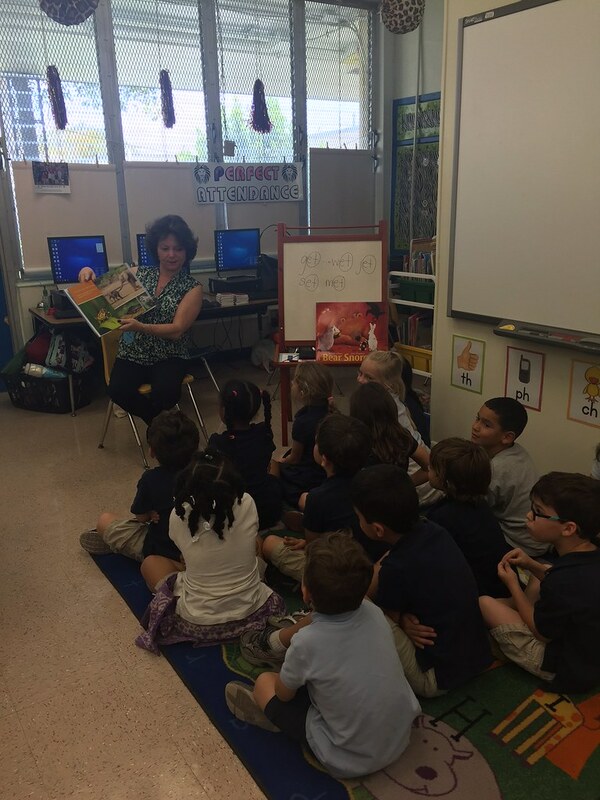 Moms Clean Air Force field chapters are hosting “Read-Ins” of Every Breath We Take around the country. 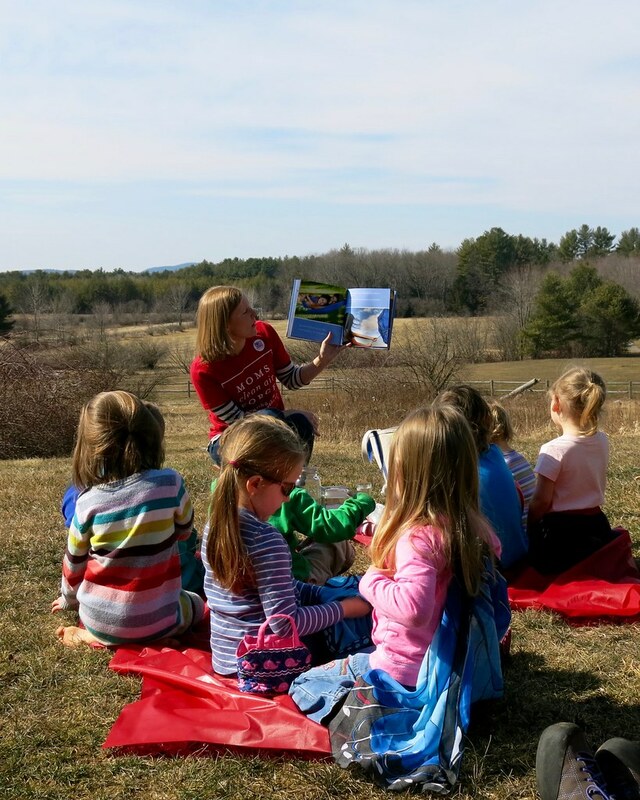 View the list below to attend a Read-In near you. 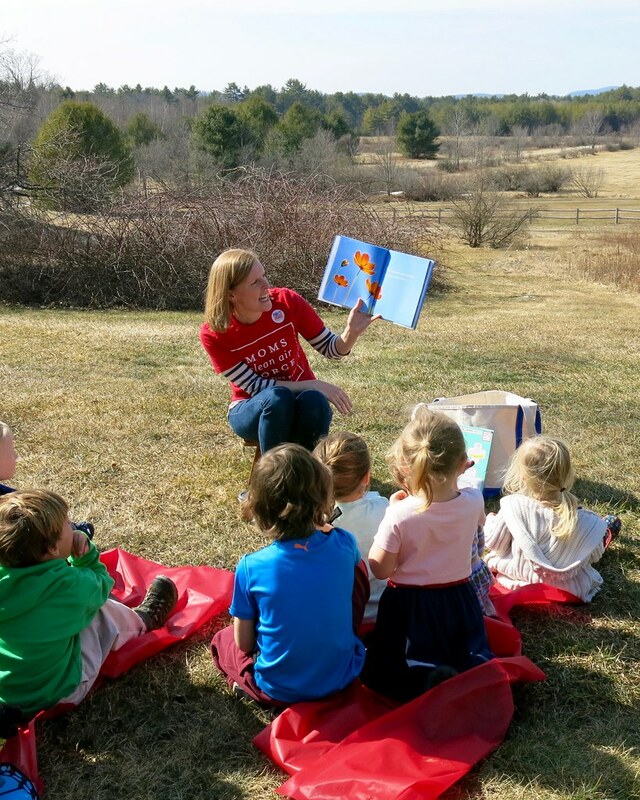 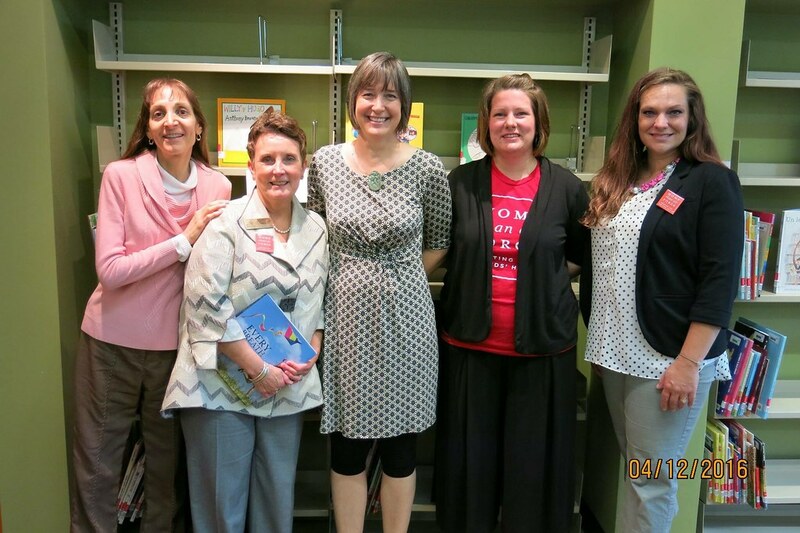 Want to host your own Read-In? 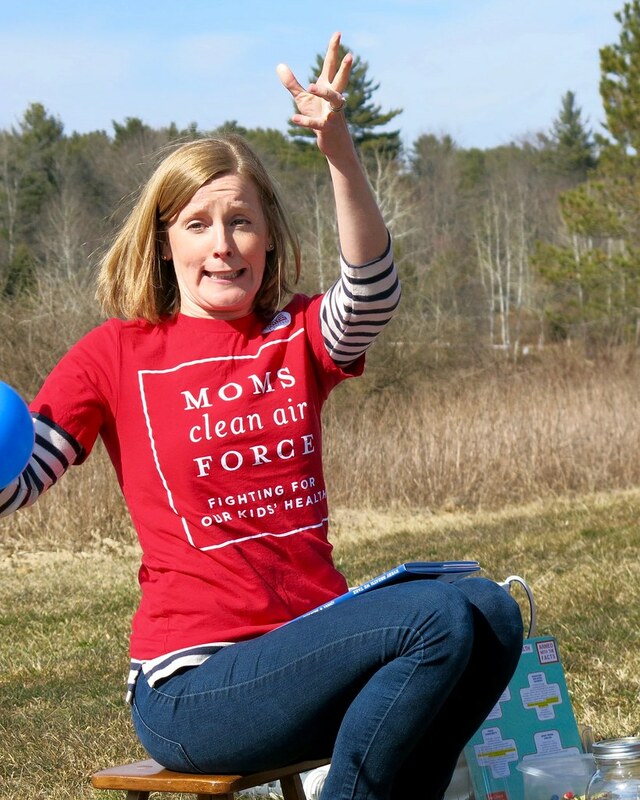 Contact Anneka at awisker@momscleanairforce.org to coordinate. 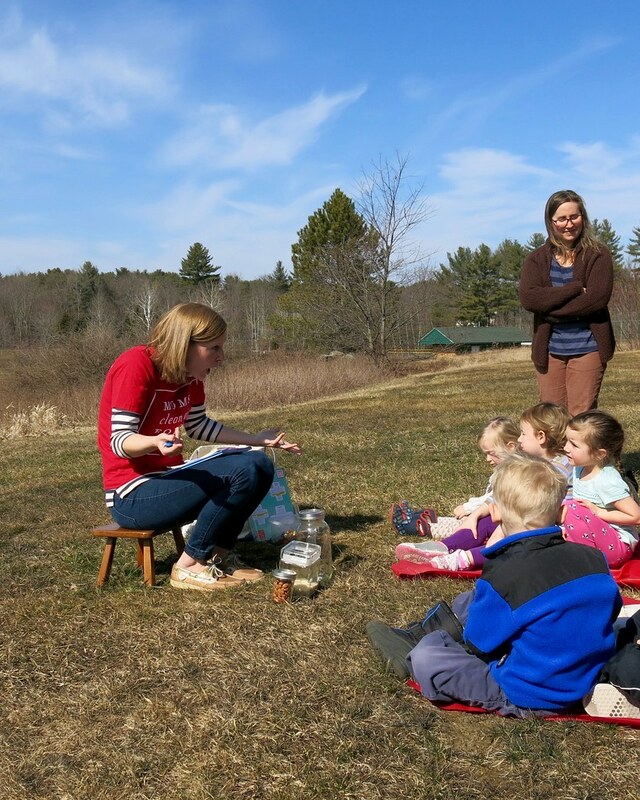 Head Butler, Kids hold their breath. They love balloons and kites. They might also like this book about air. 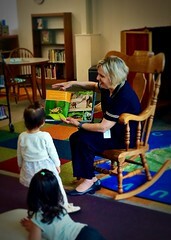 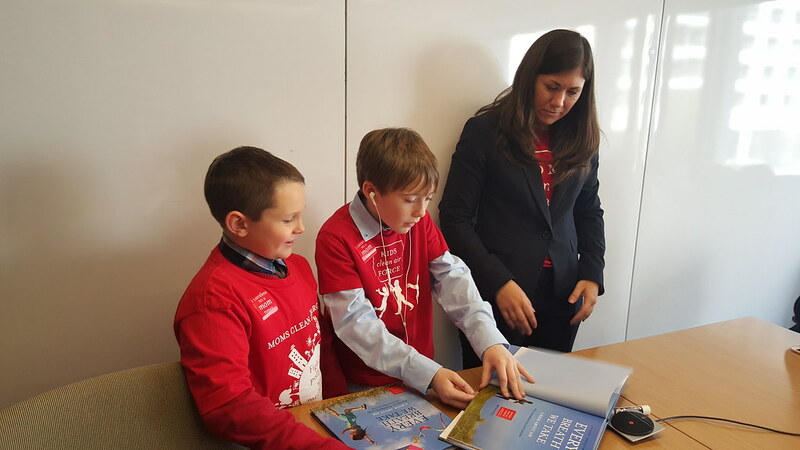 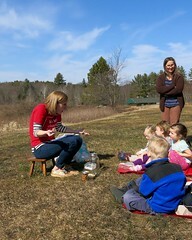 North Carolina field organizer, Veronica Shingleton reads to her son.